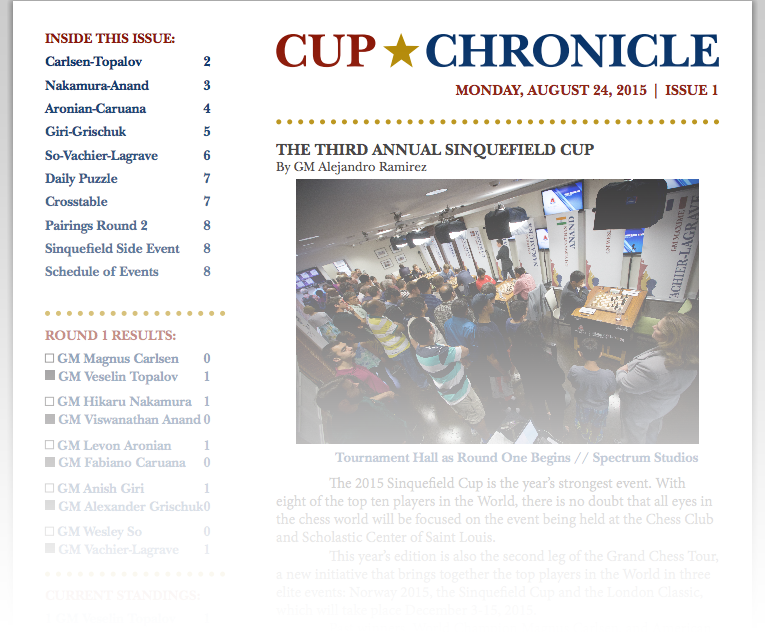 The Cup Chronicle is the daily bulletin for the 2015 Sinquefield Cup. Grandmaster Alejandro Ramirez entertains with his thought-provoking insights and deep analysis of the games. Enjoy interviews with players, photos and the daily puzzle inspired by the Grand Chess Tour players. Check back each day for more entertaining content, brought to you by the Chess Club and Scholastic Center of Saint Louis. You can also find GM Ramirez's comments during the rounds live on Twitter.